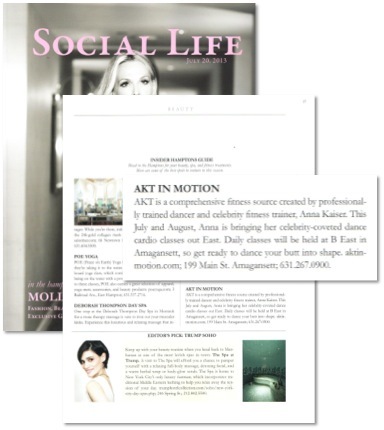 On newsstands now is the latest issue of Social Life Magazine featuring AKT & our classes out in the Hamptons! Check out the article below and be sure to join us for classes through the end of August in Amagansett. Next Next post: AKT Featured in NY Daily News!